After Wahkeena Falls, we stopped off at Bridal Veil Falls. 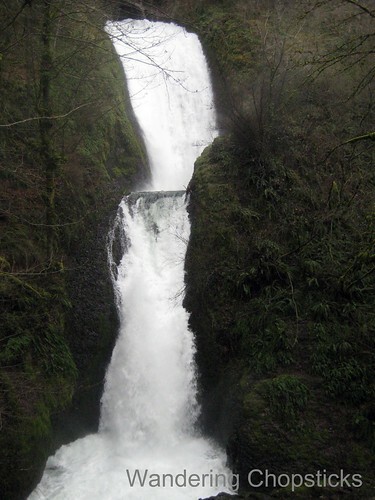 Unlike most of the others, Bridal Veil Falls isn't visible from the old Columbia River Highway. But it's just a short half mile hike down to the falls. 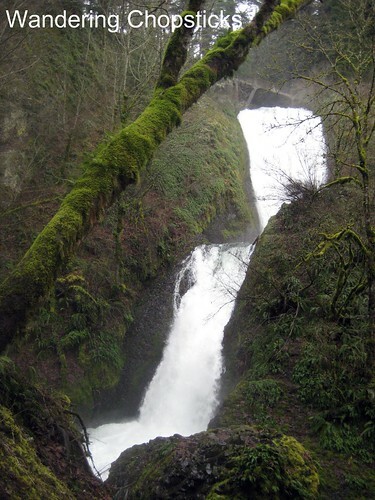 Of course, I've also blogged Bridal Veil Falls before in the summer when everything is lush and green. 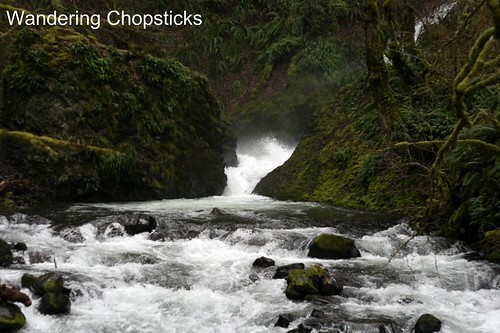 And while these shots have more barren trees, the water pictures are much better. I love how I can almost see how fast and furiously the water crashed between the rocks. I love these photos these last four photos. Such a difference compared to the other pictures of this area. During the summer, there's less water and these shots were mostly rocks. Next up: Shepperd's Dell. My first visit! Every other time, I never spot it in time and the bridge prevents me from turning around. 2 years ago today, rosebuds and waiting. 3 years ago today, eating vegetarian on Ram and banh xeo (Vietnamese sizzling crepes). 4 years ago today, Bruschetta al Pomodoro (Italian Tomato Bruschetta).